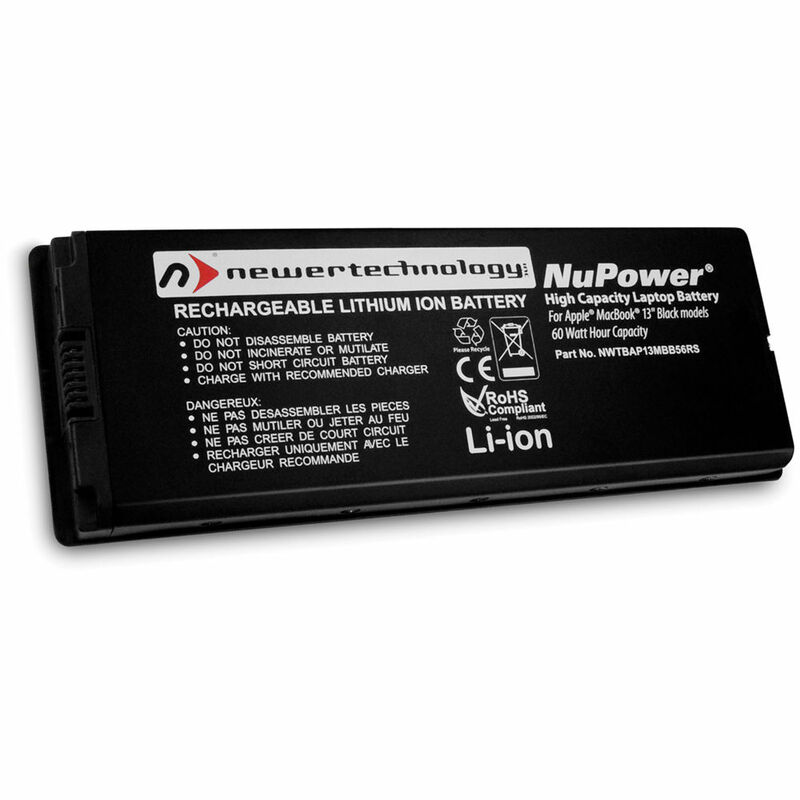 The black NuPower Replacement Battery for MacBook 13", Early 2006 to Early 2008 from Newertech is designed to meet and exceed factory specifications. With a renewed battery life, you can listen to music, watch videos, and get more work done between recharges. The battery is environmentally responsible and is RoHS certified to be free of lead, mercury, cadmium, PBBs, and PBDE. This battery is engineered to offer a suitable fit and finish to your Mac notebook. It also offers full compatibility with OEM sleep and power-reduction modes. The battery includes instructions detailing the options you have for the proper disposal of your old battery. Box Dimensions (LxWxH) 9.1 x 4.1 x 1.7"
NuPower Replacement Battery for MacBook 13", Early 2006 to Early 2008 (Black) is rated 4.3 out of 5 by 3. Rated 4 out of 5 by WooBuff from Almost as good as new Not quite the same feel and fit as the OEM product, but performs adequately. Rated 5 out of 5 by Suzan from Perfect replacement battery for Old MacBook Perfect replacement battery for an old black MacBook! Fits well, performs well! Thankful to B & H for giving more life years to my old dinosaur.